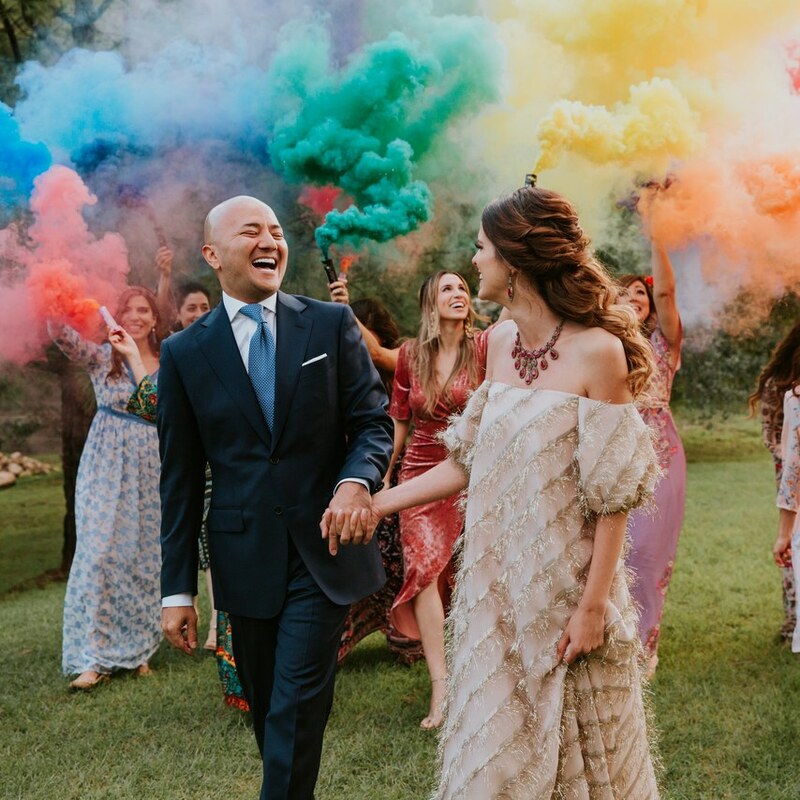 2019 is the year of the earthy, rustic and creative wedding – and we are excited! 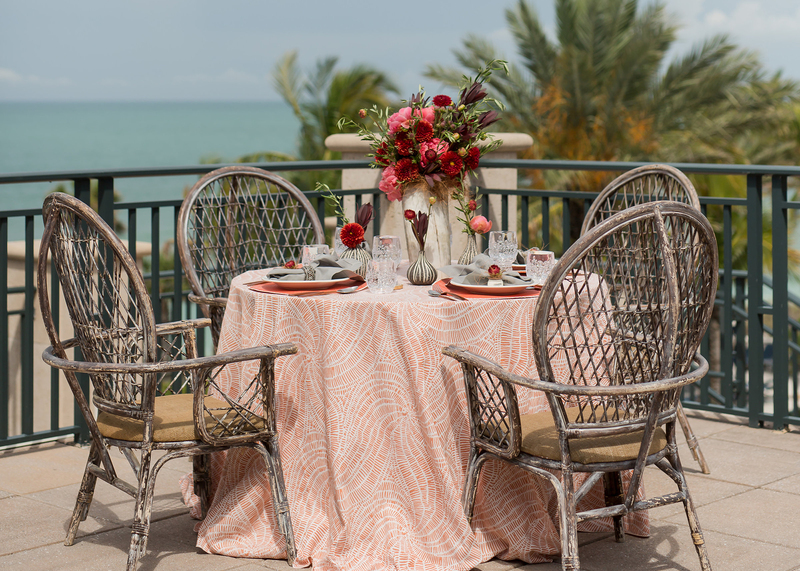 All of these themes fit astoundingly well with a destination wedding and we will show you exactly how. 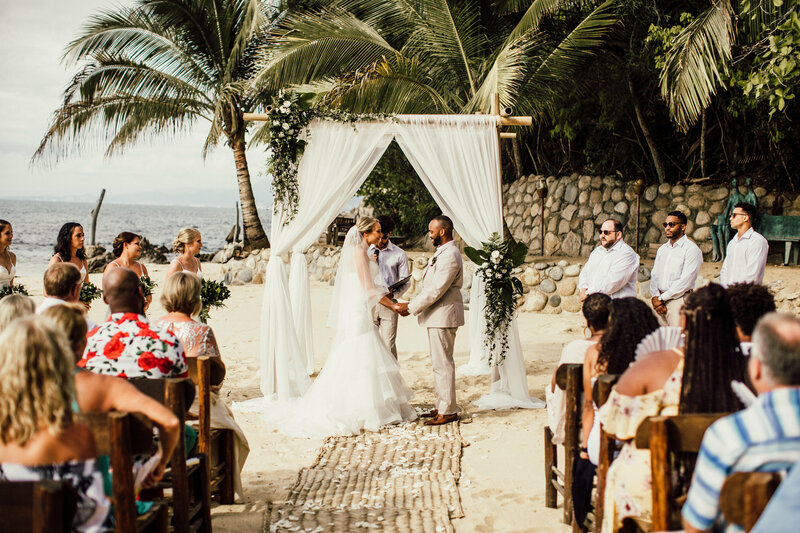 We’ve gathered 15 of the best 2019 trends we expect to see in destination weddings. Let us know what trend you’re most excited for! 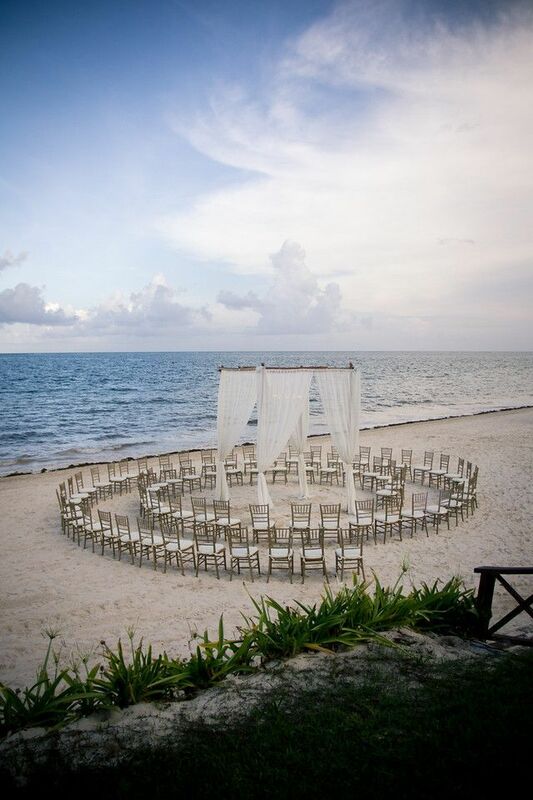 Free-form ceremony setups are in style. Traditional ceremony rows are a mainstay, but round setups allow for a less obstructed view for your gusts and allow for a stunning entrance. We expect a lot of beach weddings will implement this style, but we won’t be surprised if couples choose this for garden venues as well. The customization is endless with illustrated invitations. 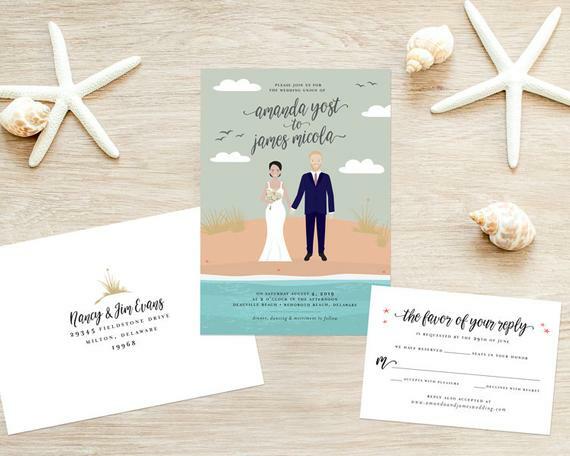 We love that couples can make their invites a work of art that is personal to them. Sites like Etsy make finding an exceptional and well-reviewed vendor easy. This is nothing new, but we are going to see this trend grow more and more. Asking your guests to put the phones away keeps them more in the moment with your wedding, and you won’t have phones blocking the way of great shots from your professional photographer. Ask your officiant to politely make this announcement at the very beginning of the ceremony before everyone starts their way down the aisle. 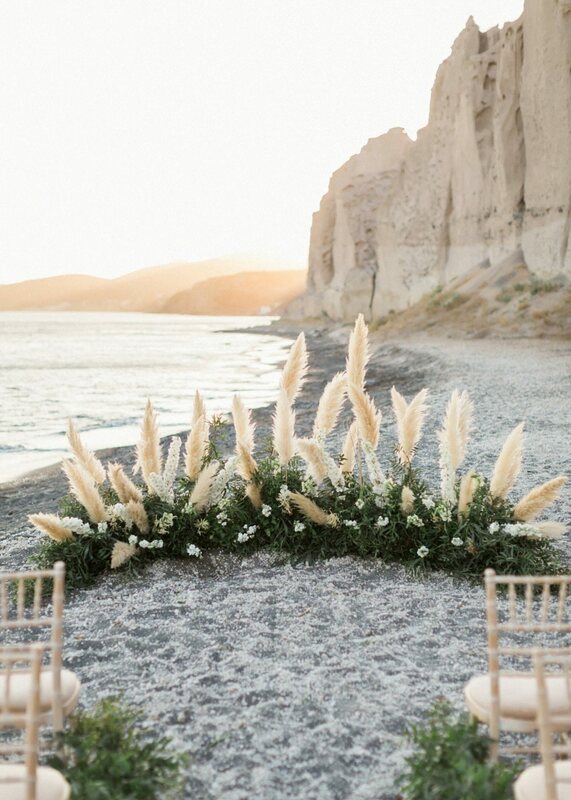 Pampas grass adds an element of earthiness to your floral and greenery arrangements. Along with the romantic and “meadowy” touch it adds, it’s also relatively inexpensive. We imagine we will see this a lot in destination weddings this year. In this instapic era, cakes like these get people’s attention and leave a lasting impression. It will just be hard to bring yourself to cut into it! It can be difficult to share intense words of love and commitment to your partner in front of a crowd of people. 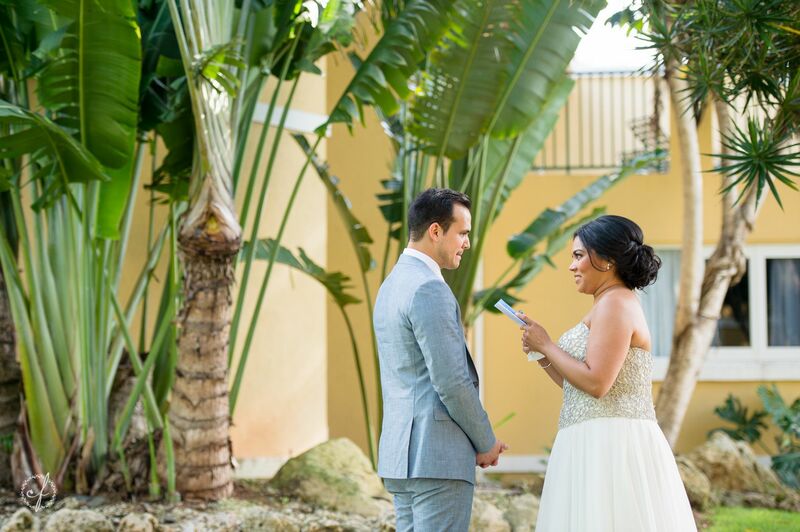 That’s why more and more couples are choosing to say their personal vows to each other before the wedding and during the “first look,” and then say standard vows during the ceremony. For all of us with mild glossophobia, this is an amazing idea! Destination weddings especially have a landscape you want included in your wedding video. The ocean backdrop is probably a big reason you chose a destination wedding after all! That is why drone photography and videography will continue to be uber popular. 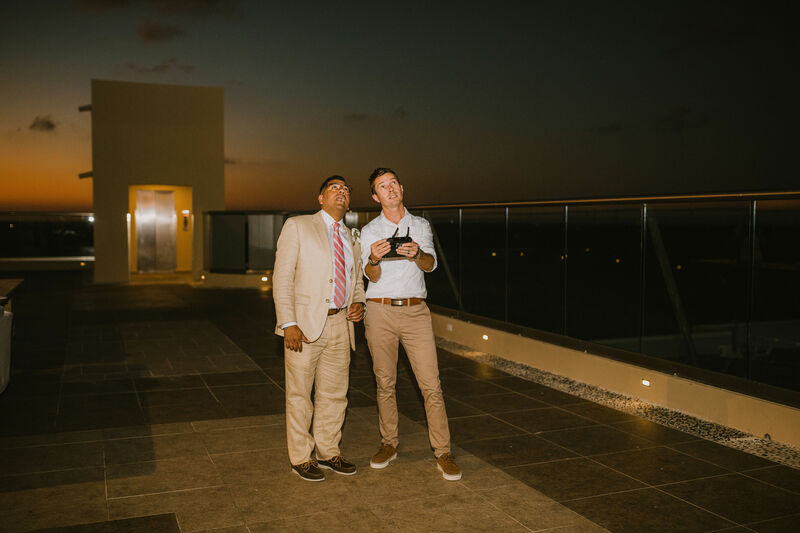 It’s also a bit of a spectacle for your guests to watch, like our groom Mort who was awed by photographer Devin’s flight skills. 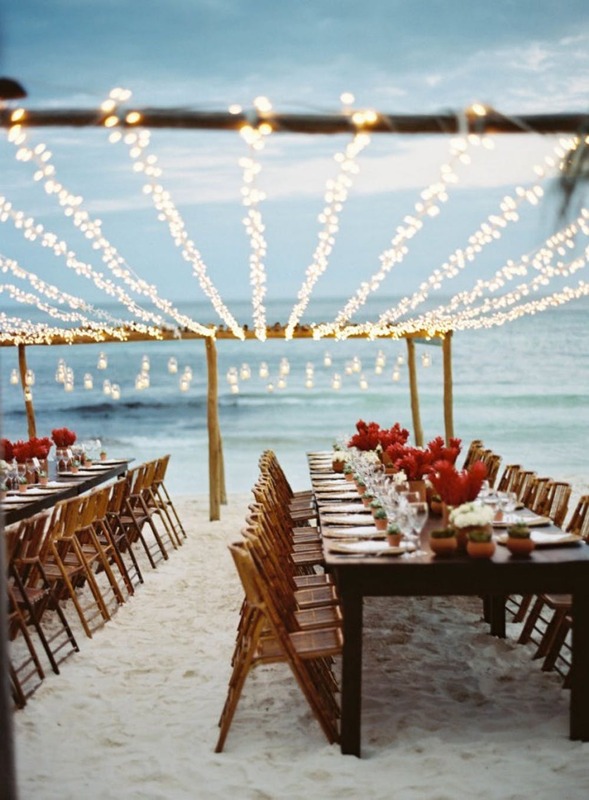 Lighting is such a must for destination weddings, especially beach weddings. The beaches are rarely lit, so adding creative lighting looks magical. Our favorite new trend is the low-draped string lighting over long reception tables. The linear style has an eye-catching symmetry we totally love. 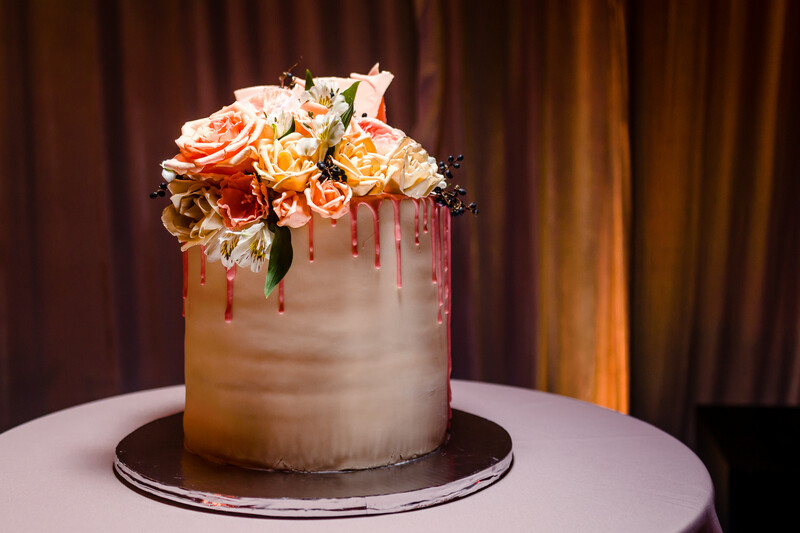 Velvet pieces in a wedding tablescape provide texture and depth that is stunning. Just because you are having a destination wedding doesn’t mean you can’t include traditionally warmer materials in your reception setup. In fact the juxtaposition is incredibly visually interesting. 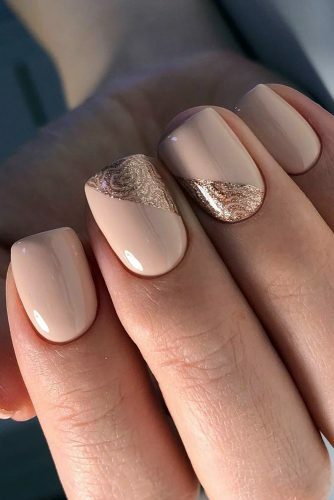 You guys voted and picked your favorite new bridal nail trend! Gold accents was the winner. This look is so simple, but also wonderfully unique. 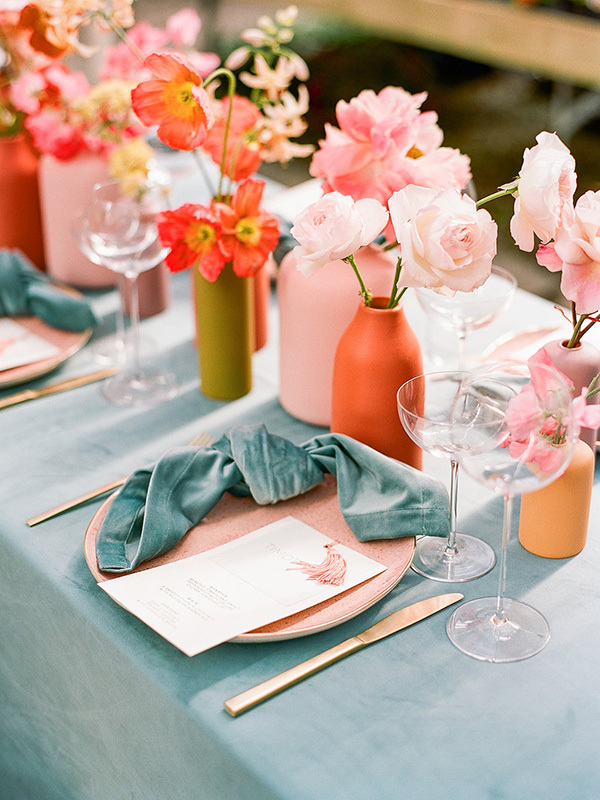 As Pantone’s Color of the Year, we are already seeing many wedding couples incorporating Living Coral into their destination wedding theme. We adore this color paired with a dark teal. Attribute this one to the Duchess of Sussex. Simple, elegant gowns are all the rage for 2019. 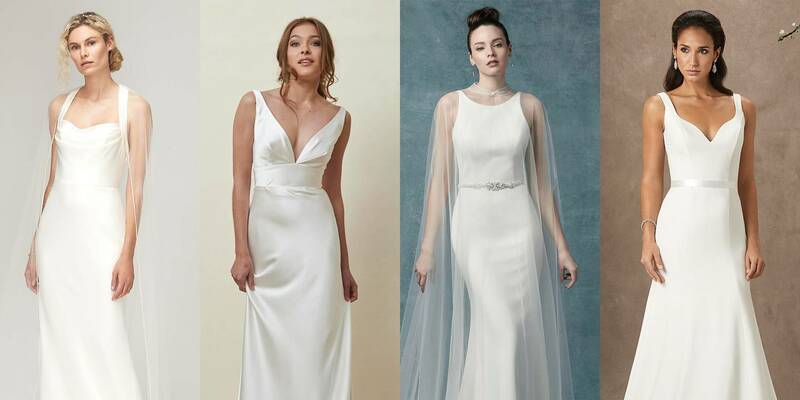 We’re stoked about this because these dresses work great for destination weddings. You’ll be cooler without having to wear a ton of layers and they are so much easier to travel with as well! We still love a good sparkler exit, but this is just so cool. And the pictures? Wow, just wow. Also imagine this against a palm tree background. So gorgeous! 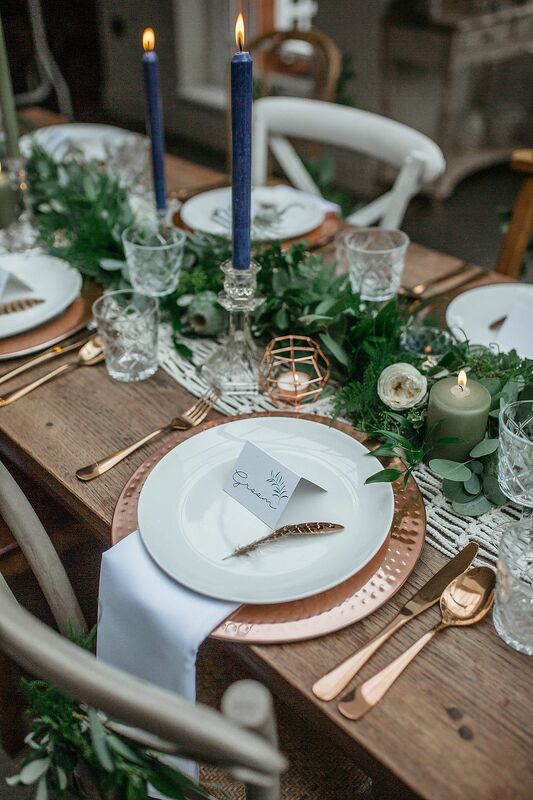 Like we said, this is the year of the rustic wedding, and copper accents fit this look so well. We’re especially excited about the copperware and how it shakes up the traditional plating look. This is definitely our favorite trend! Eco-conscious couples are choosing creative ways to be more friendly to our environment. Whether they are swapping paper invites for e-vites or relying on mostly candles for their lighting, this is a trend we can get behind. 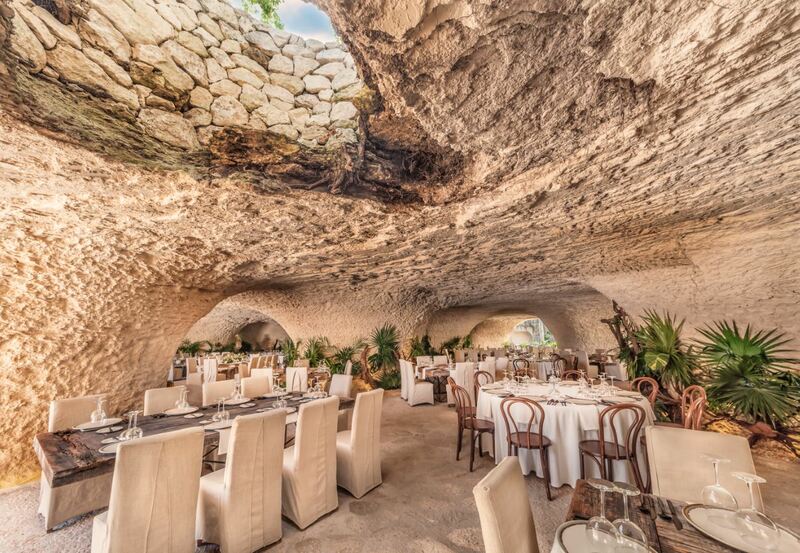 One of our favorite eco-friendly resorts for destination weddings is Hotel Xcaret with their gorgeous Las Cuevas reception venue.